The use of USB for mobile phone chargers should reduce materials and energy use as well as costs to the consumer. Since 2007, China has required mobile phones to use a USB interface for the battery charger. As of 2010 the European Union will require a micro-USB connector on mobile phones for charging. The Chinese and European requirements are different but compatible. The Chinese requirement is for a USB Type A socket on the charger. 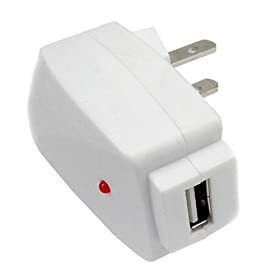 The EU requires a micro-USB connector on the phone. So to meet both requirements would require a charger with a USB Type A socket, a micro-USB to Type A USB Cable and a phone with a micro-USB socket. The Chinese requirement would slightly increase the cost, as an extra plug and socket is needed at the charger end of the cable. The EU requirement is only for data enabled phones, the ones which are likely to have a USB socket anyway. While this has been described as only applying to high cost smart phones, there are many low cost phones which have a USB interface. 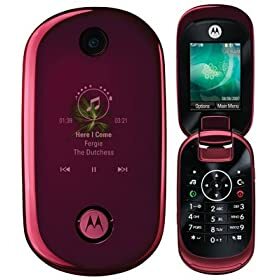 As an example the Motorola U9 sells in Australia for $99 and comes with a micro-USB socket. Unfortunately the U9 comes with the micro-USB plug permanently wired to the power adaptor. The Australian Motorola adaptor is not compatible with the Chinese standard as it does not have a Type A socket. Instead of having to buy a charger with each phone, the one charger can be shared between different brands and models of phones. In a household were each person previously had a charger plugged in for each phone, instead one charger can be used. This will use less energy as only one charger will be consuming power. These standards will also make it easier for consumers, with fewer different chargers and cables. The USB cables are low cost. A Type A to Micro USB cable from Paddy's Markets in Sydney, for example, is $12. Incompatibility of chargers for mobile phones is a major environmental problem and an inconvenience for users across the European Union. Currently specific chargers are sold together with specific mobile phones. A user who wants to change his/her mobile phone must usually acquire a new charger and dispose the current one, even if this is in perfect condition. This unnecessarily generates important amounts of electronic waste. Which is the solution envisaged? Harmonising mobile phone chargers will bring significant economic and environmental benefits. Following a request from the European Commission and in close co-operation with the Commission services, major producers of mobile phones have agreed in a Memorandum of Understanding (“MoU”) to harmonise chargers for data-enabled mobile phones sold in the EU. Industry commits to provide chargers compatibility on the basis of the Micro-USB connector. Once the commitment becomes effective, it will be possible to charge data-enabled mobile phones from any charger compatible with the common specifications. Who will benefit and how? Consumers will not need to buy a new charger together with every mobile phone, and they should also benefit from more efficient and cheaper stand-alone chargers. Consumers will be able to charge their mobile phone from the new common charger. The environmental benefits of harmonising chargers are expected to be very important: reducing the number of chargers unnecessarily sold will reduce the associated generated electronic waste, which currently amounts to thousands of tons. Harmonised chargers are also expected to improve energy-efficiency, thus reducing energy consumption. What will be the impact of the MoU on prices? Are all mobile phones covered by the MoU? The MoU covers data-enabled mobile phones. The MoU excludes mobile phones which do not support USB data exchange and also certain unusual formats of phone, for example phones worn as wristwatches. Which is the agreed common interface? Why does the MoU only apply to data-enabled mobile phones/equipment? Mobile phones are short-life products. It is expected that from 2010 onwards most future mobile phones will be data-enabled. When is the proposal likely to come into effect? It is expected that the first generation of new inter-chargeable mobile phones will reach the EU market from 2010 onwards. The Commission will closely work with industry in order to facilitate an implementation of the agreement on the market as soon as possible. Which companies have signed the MoU? Where does the MoU apply? The MoU covers the territory of the EU. However, as the market for mobile phones is essentially global, the MoU should be seen as a good model for other geographical markets. The Commission is committed to sharing this approach with its trading partners, in order to extend its benefits world-wide.